– «Puzata Hata» – a network of fast food restaurants of Ukrainian cuisine. In the centre these restaurants can be found in the shopping malls “Globus” on Maidan, in Passage, on the Baseyna Street behind the Bessarabian market. 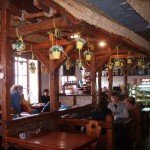 The concept of the network is cosy establishments with an unordinary interior, various dishes of national cuisine and democratic prices. It is believed that “Puzata Hata” has also become one of the culinary visiting cards not only of the capital, but also of Ukraine. 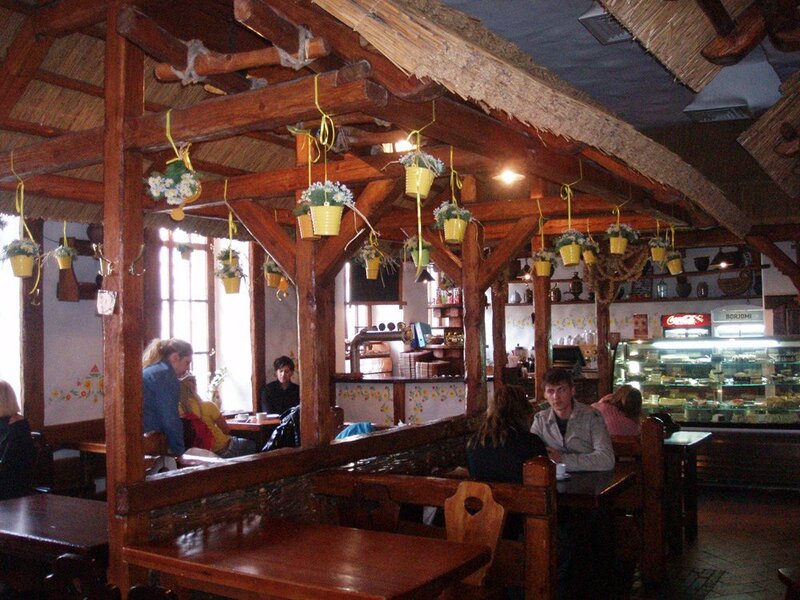 In restaurants there is a bar where you can order ginger tea, coffee or a strong drink, and in cool weather – spicy mulled wine. Here you can also order desserts to your taste. Addresses: 1.Baseyna str., 1/2a. 2.Khreshchatyk str., 15/4. 3.Velyka Vasylkivska str., 40. Average check: 100-200 UAH per person. – «Zdorovenki Buly» – Ukrainian fast food restaurant, located on Khreshchatyk behind the metro station. Delicious food, low prices, location in the centre of the city and free wi-fi made the restaurant a popular fast food. Each hall of the establishment is decorated in an individual style, transferring us from Ukraine to India, China, Greece or Egypt. Menu has a wide range of home-cooked dishes, a variety of salads, pastry. Pizza is also prepared here, which you can eat here in the restaurant or order a delivery to your home. The restaurant feature is a salad “bar and trimmings” – a bar for which you pay a fixed price, and the portion size is limited only by your appetite and the size of the plate. – «Domino’s Pizza» – the world network of pizzerias, founded in the USA in 1960. 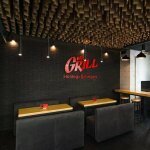 In Kyiv, the first pizzeria of the network was opened only in 2010. Today there are about 30 locations in the capital. In the centre you can find its restaurants on the Tereshchenkivska Street and Baseyna Street behind the Bessarabian market. Recommending itself, Domino’s was recognized the best network of pizza parlors in Ukraine, as well as the Best Pizza Delivery Company. Feature of exquisite pizza is preparing according to the original recipe in the oven at a temperature of 260 ° C, as well as a correctly prepared sauce. Domino’s is a favourite place for many citizens. Here you can taste delicious pizza at a democratic price. The minimal price of pizza for 370 gr. (22 cm) – 79 UAH. Addresses: 1.Baseyna str., 17. 2.Saksaganskogo str., 68/21. 3.Tereshchenkivska, 4-a. Average check: 150-200 UAH per person. 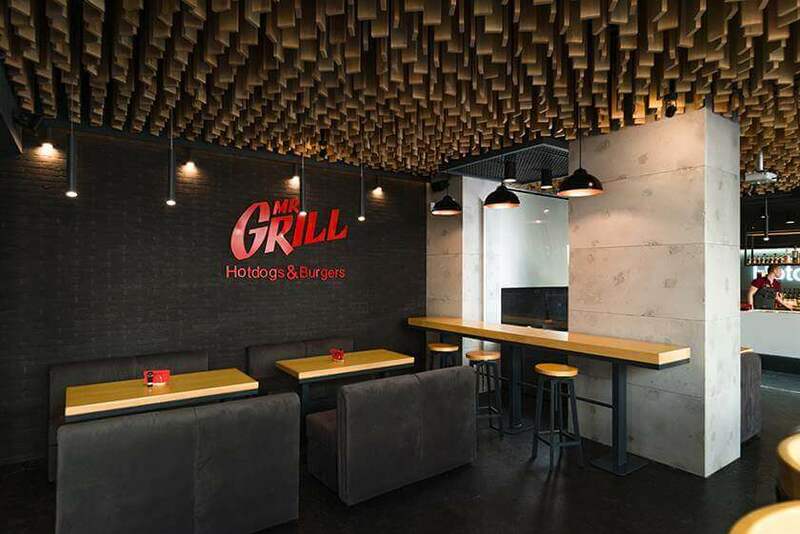 – «Mr.Grill Hotdogs&Burgers» – fast food grill-restaurants by American style, where hot dogs and burgers are the main dishes of the menu. The main concept of the restaurant is the tradition of American cuisine in conjunction with fusion. The line of burgers and various hot dogs are developed, where each one has the same name as presidents of America. Besides the menu offers appetizers, soups, salads, desserts. There are alcoholic and non-alcoholic drinks and cocktails. Average check: 150-250 UAH per person. – «McDonald’s» – the world-famous fast food network. Ukraine became the 102nd country in which McDonald’s opened and it happened in Kyiv in the distant 1997. Today in the capital McD can be found at almost every metro station, and the restaurants of the network have become the most visited. As in the whole world, McDonald’s range is full of different dishes – burgers, salads, pancakes, desserts. There is a special menu in the morning. 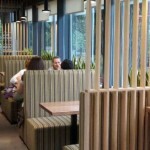 Each restaurant has free wi-fi, in some of them operates McCafe, where you can order delicious coffee with sweets. Many locations offer the service McDrive. In the centre you can find its restaurants on Maidan, in the shopping mall “Globus” and on Khreshchatyk. Addresses/Work time: 1.Sofiivska str., 1/2. Mon – Sun from 08:00 to 22:00. 2.Khreshchatyk str., 19-a. Mon – Sun from 08:00 to 23:00. 3.Velyka Vasylkivska str., 22. Mon – Sun from 06:00 to 23:45. 4.Bohdan Khmelnitsky str., 40/25. Mon – Sun from 08:00 to 22:00. Average check: 100-150 UAH per person.